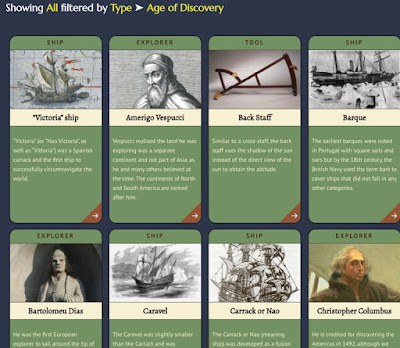 NOTE: I changed the title of this post from "European Explorers and their Tools in the Age of Discovery" to European Sailors and Navigational Tools in the Age of Encounter and Exchange. I did so because of an excellent essay by Bram Hubbell, an AP World History teacher in New York. 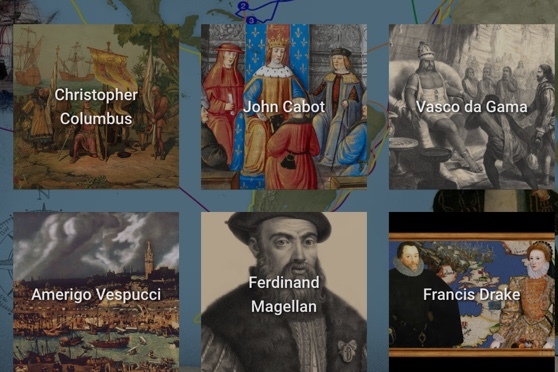 Hubbell notes that referring to the period between 1450 and 1750 as the age of discovery is misleading because it "implies that Europeans were the first to reach the Americas." 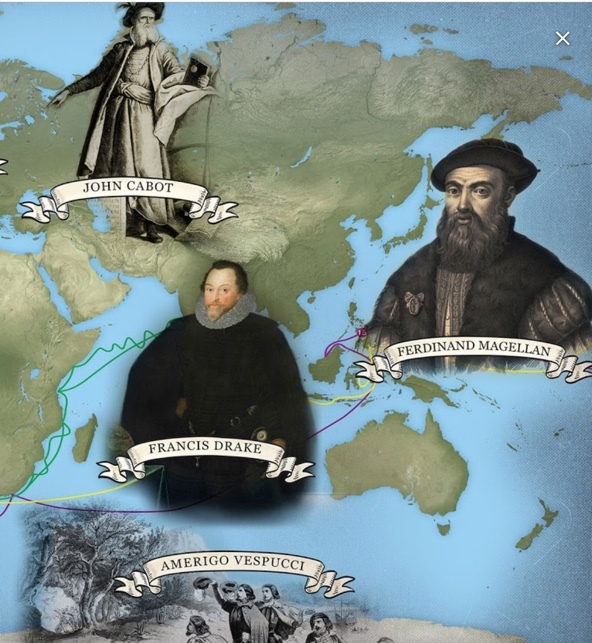 And, notes Hubbell, Da Gamma, Magellan, and other Europeans were not really explorers, "They were playing catch up & learning about Indian Ocean navigational knowledge that others had known for 1500 years already!" Studying European sailors in the 1500's? Here are two good resources, both of which might work for short web quests. One includes the Mariners Museum lets you explore the instruments of exploration as well the explorers by time period. During the Age of Discovery, you can look at short biographies of the major explorers, and short overviews of ships like the carrack and carrack and tools like the backstaff and quadrant. PBS World Explorers is another great resource. It uses Google Earth to show voyages of Cabot, Drake, Magellan and Vespucci, DeGamma, and Columbus.